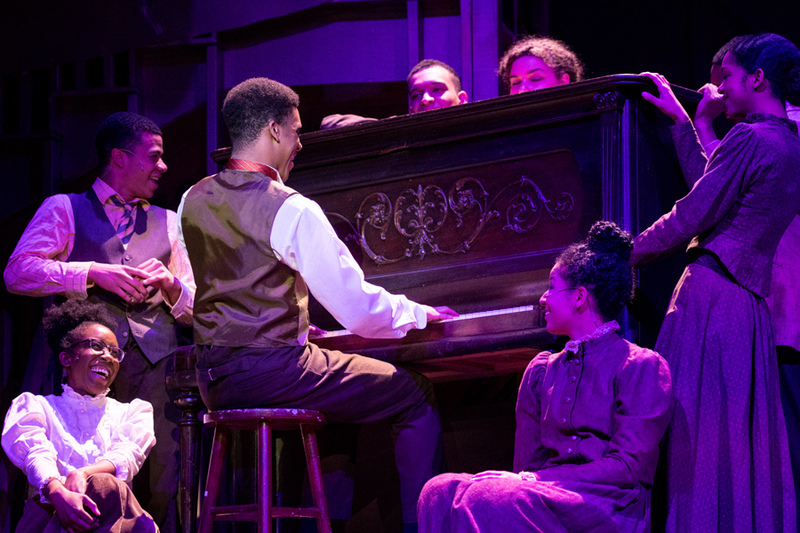 Cast members perform in The Dolphin Show’s production of “Ragtime” last January. The Dolphin Show recently announced it will put on “Hello, Dolly!” next year in its 77th annual show. When Communication senior Isabel Perry was selected to direct the 2019 Dolphin Show, she knew she wanted to create a large-scale “spectacle” onstage, complete with a full orchestra and a substantial cast. More than that, Perry said she wanted to give the Northwestern community a Dolphin Show that was more celebratory than serious. “(‘Hello, Dolly!’) is a story of hope at a time when the world definitely needs a win,” Perry said. The Dolphin Show will put on “Hello, Dolly!” next year for its 77th annual show. While the news was unofficially announced in early May via the student theater listserv, the group recently finalized its contracts and received the rights to perform “Hello, Dolly!,” which will open January 25. Communication senior and co-producer Casey Watson said the musical centers on Dolly Levi, a jack-of-all-trades whose true passion is matchmaking. In the show, Levi helps half-a-millionaire Horace Vandergelder find love, but actually wants him for herself, Watson said. The Dolphin Show’s production of “Hello, Dolly!” comes to NU shortly after Broadway in Chicago’s revival of the same show ends. However, Watson said The Dolphin Show’s version will be different because Perry isn’t afraid to make the show her own. For example, she said Perry isn’t necessarily attached to the use of red that is a staple of many “Hello, Dolly!” productions, citing a moment in the show where, in many productions, Dolly comes onstage in a red dress. Communication senior Andrew Harlan said the producers are also trying to differentiate themselves from other productions of “Hello, Dolly!” through the show’s social media presence. Harlan, a co-producer and the general manager of the show, said he hopes Dolly’s character will be recognized at Northwestern as a kind of “on-campus celebrity” through various promotional videos on social media. Harlan also said this version of the show will jump generational gaps. He pointed out that many parents and grandparents of NU students have already fallen in love with Dolly in older productions, and said he’s excited to make the messages of the musical resonate with students. She said she hopes this message of “Hello, Dolly!” speaks to the NU community, where many students often feel pressure to succeed.